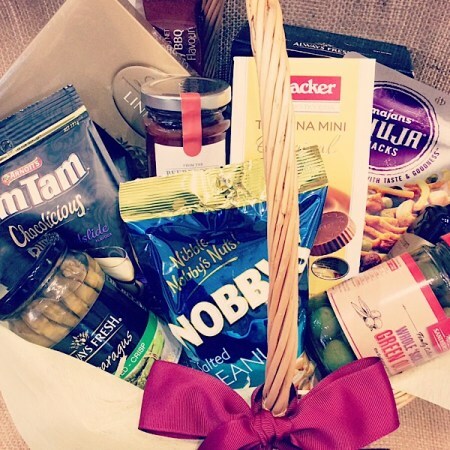 A Wicker basket bursting with gourmet snacks, Anti-pasto, crackers etc. Perfect gift for a family to share. Deluxe includes a bottle of Australian wine.